Tomorrow, January 9th at 10:30am, the Upper Saddle River Eruv Litigation will formally be heard before Judge Vazquez as the lawyers for both sides argue the motion for a Preliminary Injunction in Friedman, et al. v. The Borough of Upper Saddle River. For those not familiar with the process, whenever you request something from the Judge, by way of making a “motion”, there are three parts. First comes the actual motion by the moving party. Then, the other side gets to file an opposition. Finally, the original moving party gets a reply. Once all three documents are in, the Judge can either decide the motion based on the briefs received or he can ask lawyers to come in and argue the motion before him and ask questions. There are two motions that were filed together in this case. One was filed by the plaintiffs (the people seeking the eruv) for a preliminary injunction. 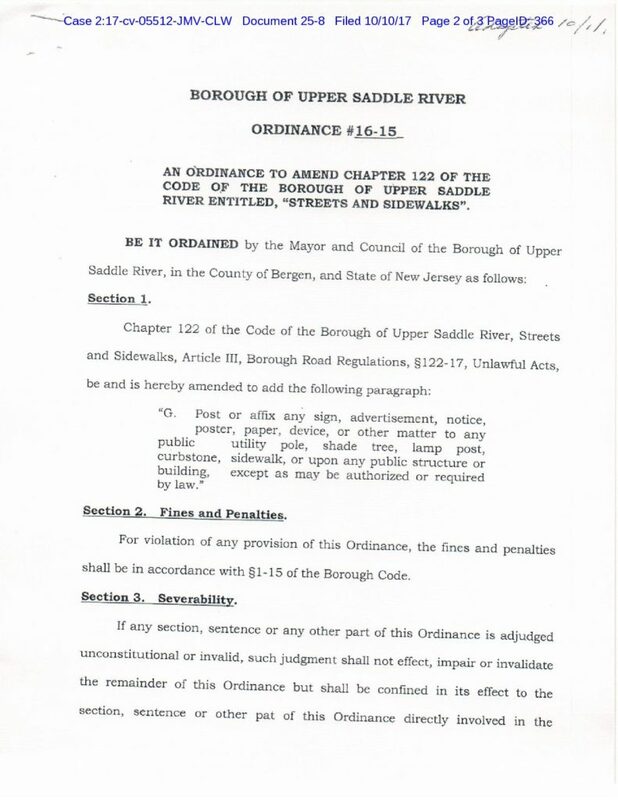 The other motion was filed by the Borough of Upper Saddle River (the people trying to stop the eruv), to dismiss the case. At this point, both motions are fully “briefed”, meaning that the motion, opposition and reply have been filed. Judge Vazquez has requested the attorneys come in to argue the motion for a preliminary injunction tomorrow. No argument has been scheduled for the motion to dismiss. In the course of the litigation, the Plaintiffs made the motion. You can read it here. Then, the Borough of Upper Saddle River filed an Opposition, laying out it’s reasons against the motion. You can read the opposition here. Finally, the plaintiffs filed a Reply to the Opposition in further support of their motion. You can read the reply here. What is the Motion for a Preliminary Injunction asking the Judge to do? What are the sides arguing? The Plaintiffs have several arguments they put forward in their motion. The start out by arguing that there is a constitutional right to maintain and expand the eruv. Not surprisingly, the Borough disputes this and says that as long as a statute is neutrally applied and generally applicable, you do not have a right to put up an eruv in a Township. Plaintiffs then go through the enactment of USR’s ordinance, banning signage and devices on poles, and argue that they were enacted with “invidious discriminatory intent that violates the first amendment’s free exercise clause”, because the ordinance effectively banning the eruv came immediately after the request for an eruv was submitted to the borough, and discussed in a closed session meeting. They also offer contemporaneous comments from residents which provide context for the reasons the council acted with discrimination. The Borough counters that Ordinance 16-15 is constitutional. They acknowledge that the timing of the ordinance did coincide with the timing of the request for the eruv, but contend that the ordinance was in the works for years and related to sign problems they had in previous election cycles. They say that “the effort to pass such legislation got sidetracked due to other more pressing issues and was not revisited for almost a year”. Defendants claim the ordinance is neutral and generally applicable and even if there was discriminatory intent (which they deny), it wouldn’t matter as it would be “legally irrelevant”. The plaintiffs also allege that USR’s enforcement has been selective and some larger and more conspicuous signage / objects than lechis (photos of which they include in exhibits to the motion) remained up, as the eruv received special treatment. 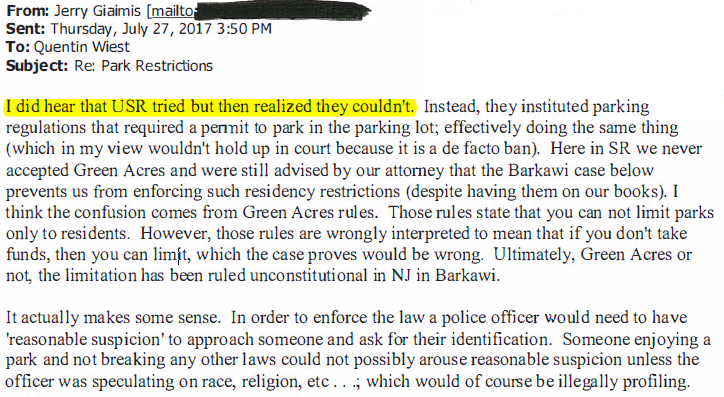 They contend that nowhere “is there a single instance – not a summons, not a code violation, and not a citation – in which USR enforced the Ordinance form the time it was enacted in October 2015 until Plaintiffs filed this lawsuit in July, 2017.” As you can probably guess, the Borough denies this claim and says that it has consistently enforced the ordinance and any signs the plaintiffs point out in their motion are because “enforcement need not be perfect to show it is not discriminatory”. The Plaintiffs then argue and the defendants deny that there is no compelling interest (or any interest) in barring an eruv. The Plaintiffs put forward the argument that the lechis are “authorized or required by law”, which satisfies the State statute and municipal ordinance in dispute. The Borough says that the interplay of State statutes and the Borough Ordinance require specific permission to establish an eruv. Finally, both sides go through the irreparable harm and Public Interest issues. Plaintiffs state that irreparable harm would happen to the plaintiffs if the eruv was removed and the balance of hardships of the parties and the public interest favor an eruv. The Defendants claim that no harm exists and “there is no first amendment right to avoid neutrally-worded laws of general applicability” USR claims that permitting an eruv would create a “slippery slope” in which groups may litigate concerns instead of dealing with the appropriate governing authorities, usurping their power as an elected body. Meanwhile, Plaintiffs claim this is a private contractual issue between the plaintiffs group and the utility company in which there’s no role for the USR council. After oral argument, the Judge can rule immediately or he can take time to consider the arguments and rule at a later date. Either way, Eruv Litigation will continue to monitor the action and provided information as new entries get filed on the court’s docket. 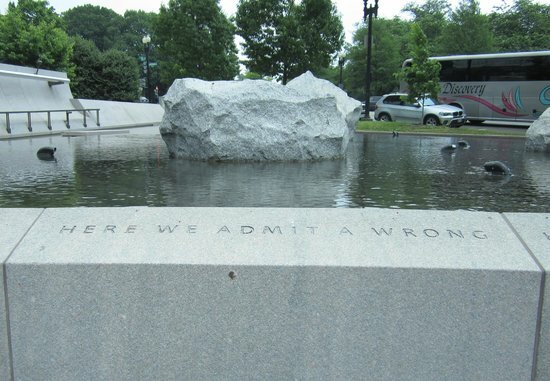 For here we admit a wrong; here we reaffirm our commitment as a nation to equal justice under the law. There are civil rights battles that transcend party, ideology and tribe. Mahwah, NJ is experiencing one of those moments. As mentioned in the last post, Mahwah Councilman David May has proposed a county-wide eruv*, appearing before the BergenCounty Freeholders, last Wednesday. There are many problems with such a proposal and should he deem to answer the open questions put to him in my last post, I’m sure they will become readily apparent. But on social media, David May and other elected officials have continued to press forward. So let me get this straight Mr. Kaplan it is okay to build an ERUV inside a Bergen County town for residents in Rockland County for people to use but it is passing the buck if a county wide ERUV is being discussed. You can not make this up. When Dave came to me with this idea I told him it had promise but getting the Freeholders who have been silent on the issue except Mrs. Amoroso who is adamant that the ERUV must stay to do anything on this would be a miracle. It is an interesting concept I believe the Freeholder who lives in Mahwah should comment on this I believe this is a better solution than having people come into your town in the dark of the night without permission. 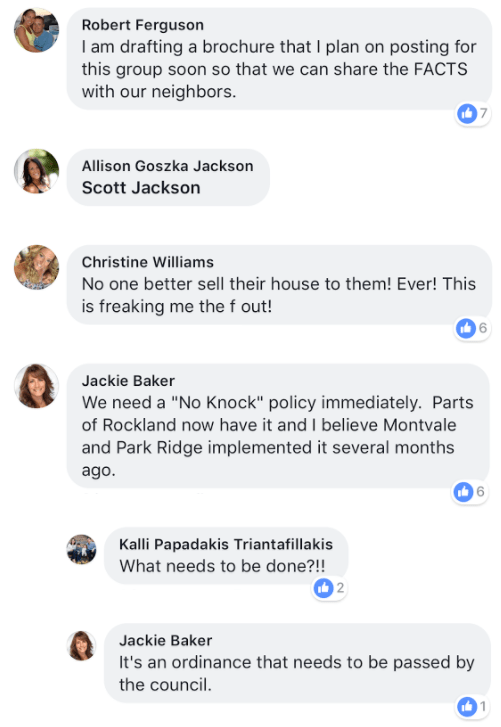 Then having vagrants showing up at town meetings looking to cause problems instead of coming up with solutions to people illegally installing items in other towns right of ways. I am still very confused like Mrs. Schepisi why a town in Bergen County needs to solve a NY problem. 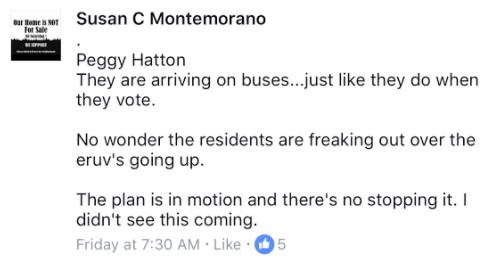 Mr. Kaplan admitted yet again that this request is coming from actual people who not only do not live in Mahwah but the state of NJ [sic]. I agree with Mr. May that I believe this is a solution that should be discussed. But this episode goes to show that while Mr. Hermansen and Mr. May might have heard my words before the council at various meetings since July, they clearly have not been listening. Perhaps if he considered his critics citizens instead of “vagrants”, he may have bothered to listen to what we were trying to impart. Let me be clear: the issues Mahwah is mired in, are CIVIL RIGHTS issues. They are defendants in CIVIL RIGHTS lawsuits by the State of New Jersey as well as a Jewish organization. The fact this is a civil rights issue is beyond dispute. Our republican appointed attorney general says so in his suit against the township and council. Soon, the democratic appointed AG will continue to say so, as he takes over the suit. This is an issue that transcends party and ideology. 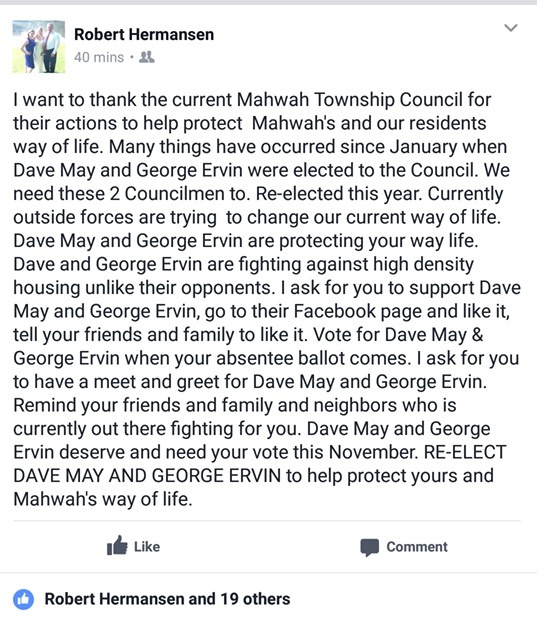 Back in the summer, an acquaintance asked me if the eruv would “win” the lawsuit in Mahwah? I responded that the Constitution will win and the eruv will benefit. I have spoken at length on this issue since July & August and my message has been the same — I (and others) have been going to Mahwah and speaking at meetings to DEFEND THE CONSTITUTION OF THE UNITED STATES OF AMERICA. I’m not denying that such a defense of the constitution will benefit those bringing suit for denial of their rights viz a vid the eruv. But it’s the rights, not the eruv, that have prompted me to act. Constitutional rights exist for everyone. They know no boundaries. I took an oath to uphold them, when I was sworn in by the township of Teaneck. Robert Hermansen and David May took the same oath when they were sworn in by the township of Mahwah. 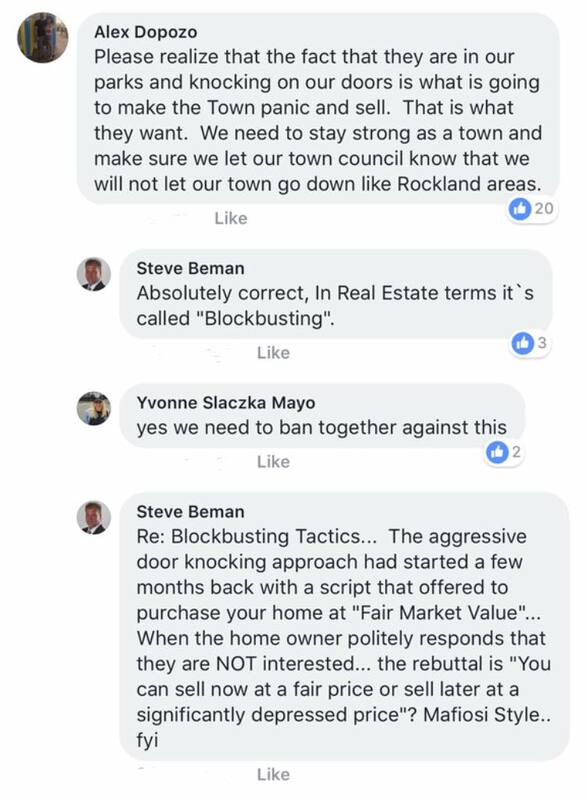 That was stated at the August 3rd, 2017, meeting in USR by Council for the Township, Bruce Rosen. Mr. Rosen, defended Tenafly in their decade long litigation against an eruv. If anyone has experience and understanding in this area, it’s Mr. Rosen. Why would I be opposed to a county-wide eruv, David May keeps asking me. Maybe, if anyone was asking for it and a need arose for such an accommodation, I’d consider it. But that’s not the case. It’s the proper role of government to ensure civil rights. It’s not the proper role to create eruvin. What Mr. May fails to grasp is that this was never about an eruv. It was about upholding the oath of office we all took when we said we would support the Constitution of New Jersey and the Constitution of the United States. In August, I asked if Mahwah understood the fundamental issues at stake here. This week, Mahwah makes me doubt they have learned what their error has been. The Chief of Police told you that your actions were wrong. As did the County Prosecutor and the State Attorney General. At some point, it needs to dawn on Mahwah’s leaders, so they can say: Here, we admit a wrong. Only then, will healing the divisions they have sown, be possible. At the last council meeting in Mahwah, I implored the council to start listening to residents and others coming before them. It seems to have fallen on deaf ears. 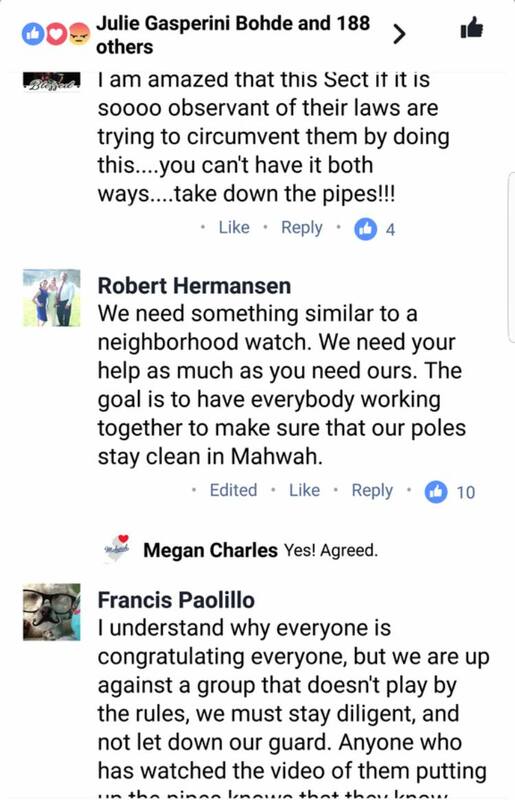 Will the Mahwah Council Surrender? It’s unclear what the purpose of this “discussion” will be from the agenda. 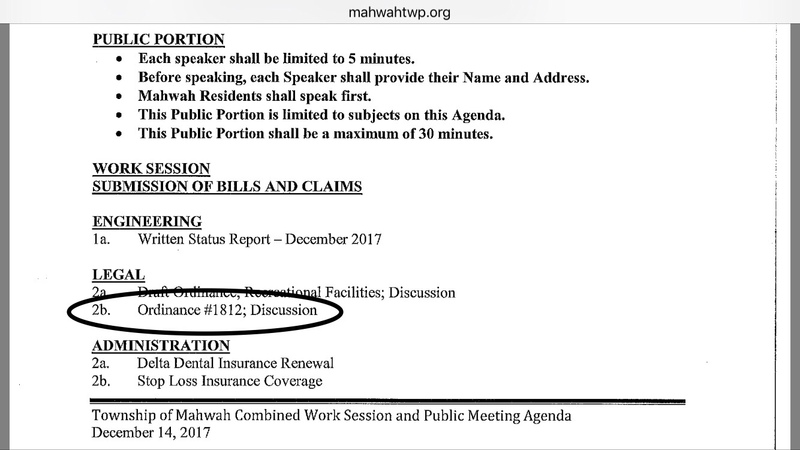 Perhaps, it a signal that the day of reckoning is coming to Mahwah, and the Council will tell the Attorney General they will never pass such an ordinance. 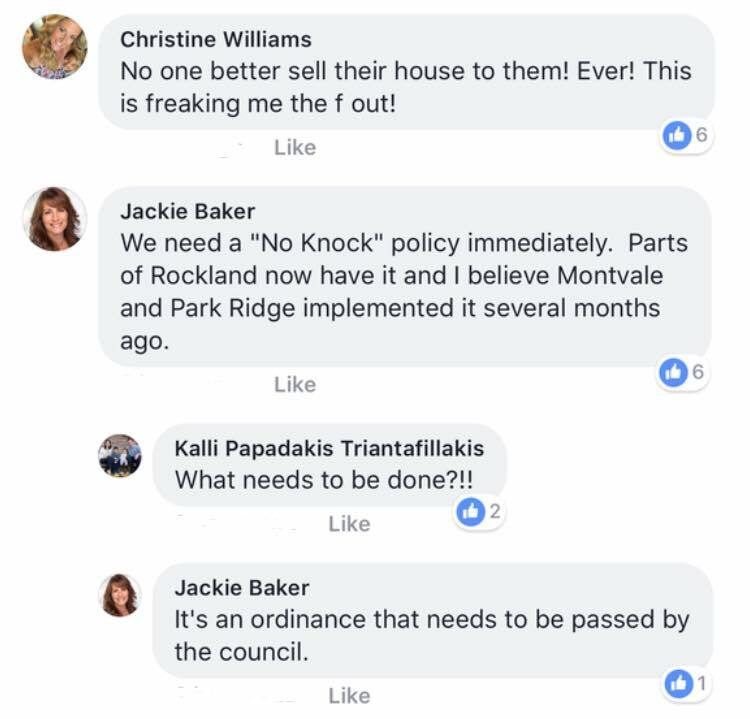 If so, they would be wise to also remove Ordinance 1806 (which prevents Jews from neighboring Rockland County from using its parks) at the same time. After the Chief of Police, County Prosecutor and State Attorney General declared the Township cannot enforce Ordinance 1806, it became the central element of the lawsuit against the Township for discrimination by the NJ State Attorney General. Since it has no positive benefit (it can’t even be enforced) and it’s the main thrust of the Attorney General’s case against the Town and its council, the smartest move they can make is to eat a little crow and repeal Ordinance 1806 while disavowing Ordinance 1812. 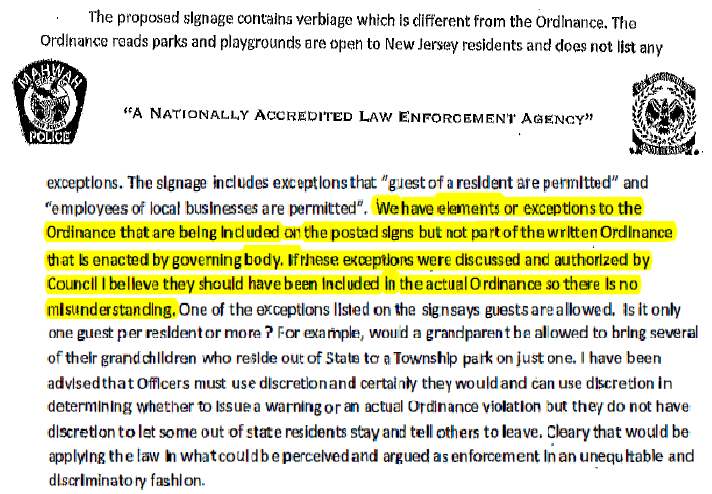 As you may recall from August, this ordinance sought to strengthen the existing sign ordinance within the Township, at the same time as the administration was sending letters to Orange and Rockland Utilities and the Eruv Association, claiming that the Eruv violated the local sign ordinance. 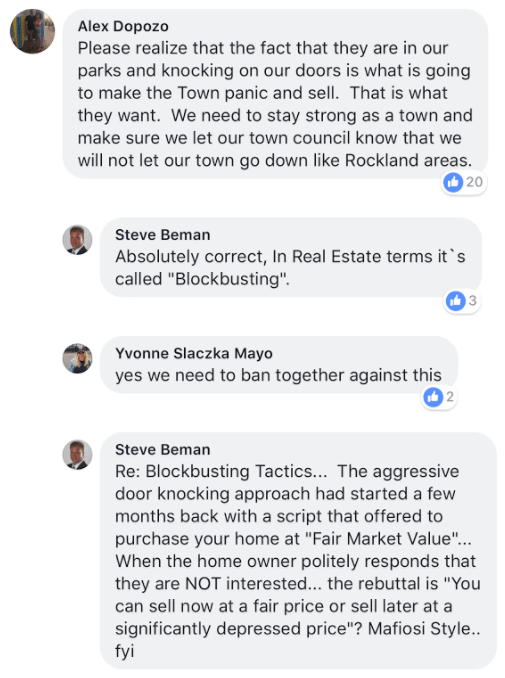 The language is identical to Upper Saddle River’s Ordinance 16-15 (which is what USR claims is the basis to deny the BREA’s request to install an Eruv) and this discussion in Mahwah was taking place as an Eruv request was pending there. 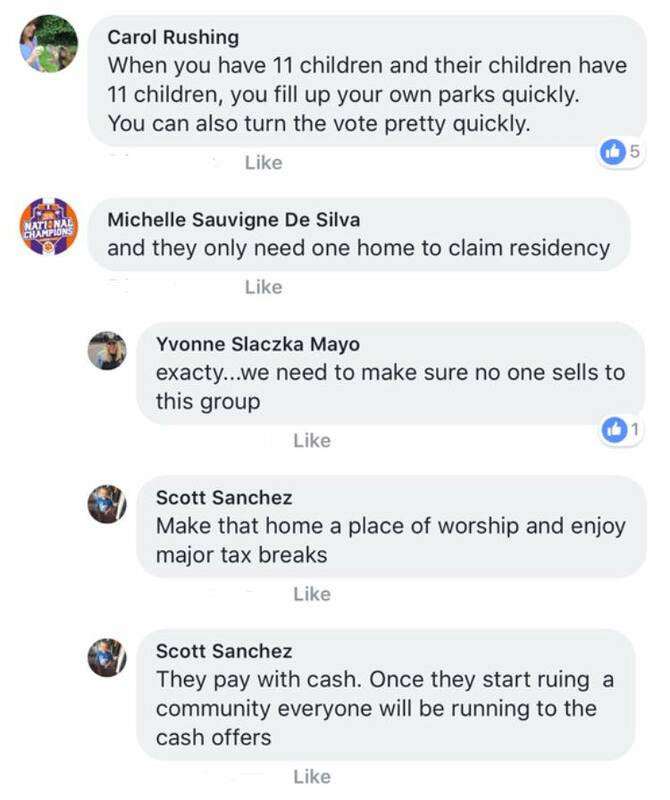 Will Council President Robert Hermansen have the stomach to do the right thing and remove Ordinance 1806 while disavowing Ordinance 1812, after the rank animus exhibited by the council and several hundred residents?